Planning ahead and stopping the spread of germs can help keep you and your family safe if there’s a flu pandemic. A flu pandemic is caused by a new flu virus that spreads easily and makes many people sick around the world. For example, the H1N1 virus caused a flu pandemic in 2009. Similar to seasonal (regular) flu, a flu pandemic is caused by a virus that infects the nose, throat, and lungs. Flu pandemics and seasonal flu are caused by different viruses. Flu pandemics are usually caused by a kind of flu virus that most people have never come in contact with. That means it can spread very easily and make people very sick. Probably not. Seasonal flu vaccines are made to protect people from the viruses experts think are most likely to make people sick during flu season. Since a flu pandemic is caused by a new virus, the seasonal flu vaccine probably won’t protect you from a flu pandemic. There are many considerations to weigh when making the decision to have a flu shot, and, depending on your own preferences you can opt to have a flu shot. If a new pandemic flu virus starts to spread, a new vaccine will be made to protect people against it. It’s important to get the new pandemic vaccine once it’s available. It can take time to make new vaccines to protect people from a pandemic flu virus. Get a seasonal flu vaccine every year. Make sure everyone in your family age 6 months and older also gets a flu vaccine every year. It’s also a good idea to prepare for a flu pandemic like you would prepare for any emergency where you might need to stay home for 1 to 2 weeks. Flu pandemics don’t happen very often. There have only been 4 flu pandemics in the past 100 years – but they were very serious. How serious are flu pandemics? Not all flu pandemics are the same. 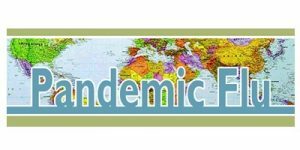 Pandemics can range from mild (similar to a regular flu season) to severe (with lots of illness and death). In a severe flu pandemic, many people get sick at the same time. This can cause schools, businesses, and community events to shut down in order to slow the spread of illness. Learn more about flu pandemics. Stay home from work or school if you get sick. Stay home (except to go to the doctor) for at least 24 hours after your fever is gone. Your fever should be gone without the use of a fever-reducing medicine. If there’s a flu pandemic, follow the advice of local officials about school and other closings. Get a seasonal flu shot (vaccine) every year. Although they are a bit controversial, consider the option of a flu shot. Protect yourself and others from flu is to get a seasonal flu vaccine every year. Everyone age 6 months and older needs to get a flu vaccine every year. Help your family get through an emergency like a flu pandemic by taking these steps to prepare for an emergency now. Print out this emergency supply kit list [PDF – 348 KB] and share it with your family. Start gathering emergency supplies and put them in a safe place. Keep enough water, food, medicine, and other supplies to last 2 weeks. Talk with your family and decide what you will do if there is a severe flu pandemic. For example, what will you do if schools are closed? Make a list of emergency contact information. Include the phone numbers for your local hospital, doctor, school, and other emergency contacts. Print out this family emergency plan to get started [PDF – 520 KB]. Be sure to keep this information in a safe place.